For many of us, this week we are settling into the patterns and routines of the New Year. Often this means getting back into what is familiar but sometimes the New Year brings change. As a church family we are starting the year with some change. 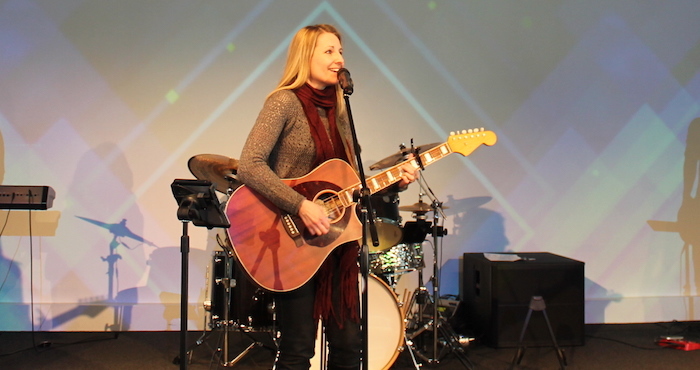 Our worship pastor, Melanie Wigg, will be stepping down as of the end of February. As many of you know, Melanie has another job with our denominational office, overseeing a young adult program and internship. This is something she is passionate about and in this season of life Melanie has decided that she would like to focus her attention on her work with young adults. The good news in all of this is that while Melanie will not be heading up our worship ministry, we are not losing her (or her family). This is very much their church home and they are not going anywhere. While Melanie will be taking some time off from our worship ministry, we can anticipate her involvement in our worship ministry again as a volunteer. An announcement like this raises some really practical questions and so let me fill you in on some of what we hope will happen. We have loved what Melanie has done with our worship ministry, and so in the long run it is our hope to be able to hire someone to continue building our worship ministry. The position will be posted this week. Until we are able to hire someone, we will be relying on the gifts and abilities of our own people. The good news is that Melanie is leaving our worship ministry in a good place, with good people, so we are expecting that this interim period will go smoothly. If you have other questions about the process, please feel free to talk to me.